As the hubs of economic activity, cities drive the vast majority of the world’s energy use and are major contributors to global greenhouse gas emissions. Because they are home to major infrastructure and highly concentrated populations, cities are also vulnerable to the impacts of climate change, such as rising sea levels, warmer temperatures and fiercer storms. At the same time, better urban planning and policies can reduce energy use and greenhouse gas emissions and improve the resilience of urban infrastructure to climate change, thus shaping future trends. 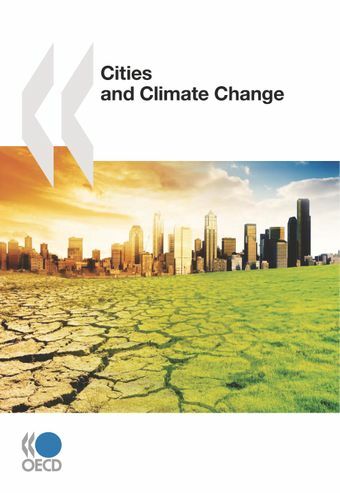 This book shows how city and metropolitan regional governments working in tandem with national governments can change the way we think about responding to climate change. The chapters analyse: trends in urbanisation, economic growth, energy use and climate change; the economic benefits of climate action; the role of urban policies in reducing energy demand, improving resilience to climate change and complementing global climate policies; frameworks for multilevel governance of climate change including engagement with relevant stakeholders; and the contribution of cities to “green growth”, including the “greening” of fiscal policies, innovation and jobs. The book also explores policy tools and best practices from both OECD and some non-member countries. Cities and Climate Change reveals the importance of addressing climate change across all levels of government. Local involvement through “climate-conscious” urban planning and management can help achieve national climate goals and minimise tradeoffs between environmental and economic priorities at local levels. The book will be relevant to policy makers, researchers, and others with an interest in learning more about urbanisation and climate change policy. Cities are major contributors to CO2. Roughly half of the world’s population lives in urban areas, and this share is projected to reach 60% by 2030. Cities consume between 60 to 80% of energy production worldwide and account for a roughly equivalent share of global CO2 emissions. Cities are also highly vulnerable to climate change change. Many of the world’s largest cities are located in coastal areas. This increases their vulnerability to rising sea levels and storm surges, risking livelihoods, property, and urban infrastructure. Heat waves will be more intense in urban areas due to urban heat island effects. Cities policies and urban action are part of the climate solution. How cities grow and operate influences energy demand and thus greenhouse gas emissions. Lifestyles, spatial form and public transport availability are also crucial. Urban policies (e.g.densification or congestion charges) can complement global climate policies (e.g. linked-up cap and trade systems) and reduce the overall cost of emissions abatement. Robust frameworks for multi-level governance and enabling national policies will advance climate actions. Local authorities can help achieve national climate goals through urban policies to reduce energy demand and improve resilience to climate change National governments can help create a sound institutional foundation and knowledge base to support local decision makers engage with stakeholders to identify and carry out cost-effective actions. Cities and regions must play a key role in fostering the green growth agenda. Cities are policy laboratories for action on climate change. Urban governments are taking serious action on climate change – even in the absence of national policies – through local regulations, urban services, programme administration, and city purchasing and property management. Cities can stimulate green jobs by raising consumer awareness, raising the eco-efficiency of local business, facilitating cleantech start-ups and supporting training programmes.